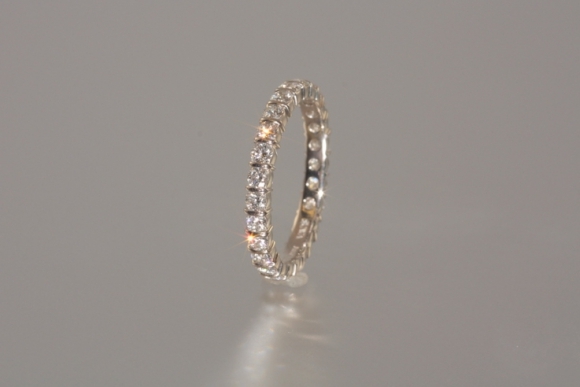 This beautiful eternity band is bar set with top quality round brilliant diamonds. The eternity band is platinum and the diamonds grade VVS1, D-E color. The total diamond weight is approximately 1.00 carat. Size 6 3/4.